Evan A. Fradenburgh, spent most of his career at Sikorsky, he was regarded as one of the company’s most gifted engineers, specializing in aerodynamics and inventions that advanced the frontiers of helicopter technology. After graduating from the University of Michigan with bachelor’s and master’s degrees in aeronautical engineering in 1947, he worked at the National Advisory Committee for Aeronautics (NACA, now NASA) at the Lewis Flight Propulsion Laboratory in Cleveland, Ohio in the fields of supersonic aerodynamics and ram jet missile design. He joined Sikorsky Aircraft in 1953, serving as Manager of Advanced Rotor Projects, Chief of Aerodynamics, Chief of Research and Development, and finally as Director of Research and Advanced Design. Mr. Fradenburgh pioneered scientific methods to successfully study very complicated helicopter rotor systems using small-scale wind-tunnel models. They facilitated major breakthroughs in the industry’s ability to advanced the state-of-the-art for advanced rotor concepts. He directed research activities on compound helicopters including the experimental NH-3A (S-61F) flight research aircraft. He was also responsible for the aerodynamics of the Sikorsky S-76 helicopter and solved several aerodynamic design problems encountered with the UH-60 Black Hawk. He invented proof-of-design developments of the elastic gimbal rotor and the Sikorsky variable-diameter rotor system. Over the years, Mr. Fradenburgh accumulated 26 U.S. patents as the inventor of these and similar engineering breakthroughs during his career. 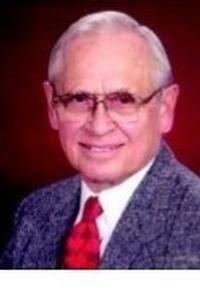 He was a member of AHS International for over 50 years. He organized a national AHS Symposium on Helicopter Aerodynamic Efficiency and served in many Society leadership positions. In 1979, Mr. Fradenburgh was named an Honorary Lifetime Fellow of AHS International in recognition of his leadership and technical innovations. In 1994, the Society awarded him the prestigious Alexander A. Nikolsky Honorary Lectureship, his lecture was "The First 50 Years Were Fine But What Should We Do for an Encore?" Evan A. Fradenburgh, 79, died on May 15, 2006 in Lebanon, NH.